Summer is well and truly in its swing. You may have the family holiday to look forward to, but what about going away with your friends? During the scorching (fingers crossed) summer months the habit of retiring to a sunny courtyard for a glass of cold beer is quite possibly what keeps many of us sane. Here are three of our favourite annual beer festivals that you could attend with just a short P&O Ferry journey to Belgium. These aren’t Oktoberfest style binges. The sheer variety of beers available at some of these events are staggering. There’s a steep learning curve if your natural beer habit is to get whatever’s on deal on at your local supermarket. Belgian beer is the produce of master brewers, so you’ll have the chance to taste the very best and find out just what you’ve been missing out on. These are ideal trips if you want to go on holiday with your mates, or partner. The beer festivals in Belgium have more dignity to them than the carnivalesque, heavy drinking in a churned up field somewhere which you may expect of at your common beer festivals. Of course it’s still wise to eat beforehand, but the environment leans more towards the sophistication you’d expect at a wine tasting, with the promise of things getting merry later in the day. One of the major events is Belgian beer weekend, taking place at the Grand-Place of Brussels and at the Bourse (Stock Exchange). You’ll need to book a day off work to get there for the very beginning on September the 6th. It’s your best choice of festival if you want to sample both the major and smaller breweries’ beers over this weekend. It runs until the evening of Sunday 8th. So, self control permitting, you could in theory get back home in time for work on Monday. For theistic beer drinkers the opening event is a celebration of the patron saint of brewers, Saint-Arnould, in the Cathedral of St Michel and Gudule. If indeed you have snuck away for a few brews it could hold you in good stead to get a little pious before starting on your weekend. The rest of the festival will assuredly pass by all too quickly. It makes for a grand lads weekender with processions of cars, all the rich grub Belgium has to offer and fantastic beer to keep you satiated. This event is being held on the second weekend of September in Durbuy, Belgium. Let us first state that the combination of beer, bread and cheese for a festival is an inspired idea. Setting it in Durbuy is also a stroke of genius. Durbuy is known as one of the smallest towns in the world, dating back to the 17th century it is filled with idyllic and historic houses. You’ll also be pleased to hear that it is highly rated for the top quality food served there. Durbuy is well equipped to cater for tourists with many a small hotel or chalet for you to have a well deserved nap after sampling the wares of the Beer, bread and cheese festival. 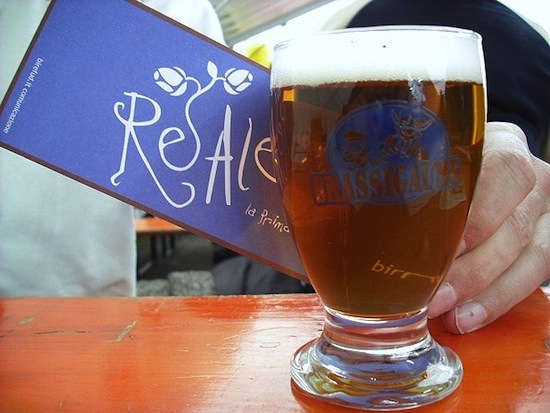 Brassigaume is the name given to Belgium’s international festival of small breweries, held in Rulles. 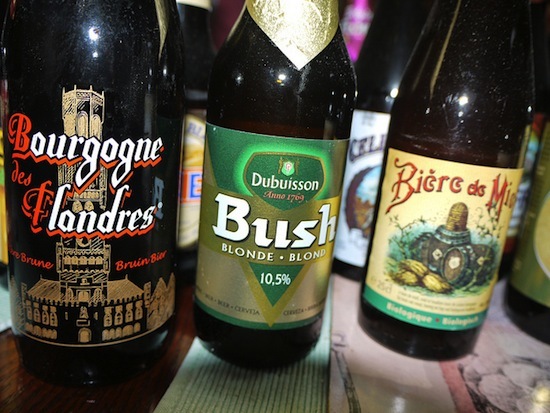 Don’t worry you’ll still get to sample a fine selection of Belgian beers and ales, but the cross section of master brewers at your disposal promise a diverse event as many of them are specially invited from around the world. This event is being held from the 19th-20th of October and will host up to 23 different brewers proffering over 80 different beers to tantalise your palate. Here is a link to the official website which offers a little more information. This festival is an excellent, no hassle event, catered by Jean-Claude Depeauw – so you’ll have professionally prepared cuisine served up to you. Rulles is not one of the more well known places in Belgium but it is easily discoverable via train. You’ll be able to get a great experience of Belgian heritage starting at the brewing and then moving off in to the town. If this is all a bit too short notice for you to arrange then don’t worry. You’d be hard pressed to find a month of the calendar in which there isn’t a beer festival of some sort being held in Belgium. Much as we all love supping the suds under the sun, it’s undeniable that Belgium’s charm is increased threefold come the winter months. If you’d like to see for yourself then the winter beer festivals will be worth your time. The timing is also prime for you to get some Christmas shopping in at the Yuletide markets or perhaps overlap your beer sampling with a romantic retreat in a secluded hotel. Belgium’s Christmas beer festival is not yet fully scheduled, but is held mid December in Essen. Last year attendance was 3000 strong and they had a huge selection of over 170 different beers. To get in to the spirit earlier, Stembert also holds a Christmas beer festival in November. It’s all too easy to take a boozy holiday to the continent and snag a couple of bottles duty free on your way back. If you’re getting bored of the common supermarket brands, what better way to find out more about your favourite alcholic beverage then to go to a festival, make a few memories and taste some cracking new beers? P&O ferries Hull to Zeebrugge service will take you to Belgium for a fantastic weekend of beer tasting this summer.